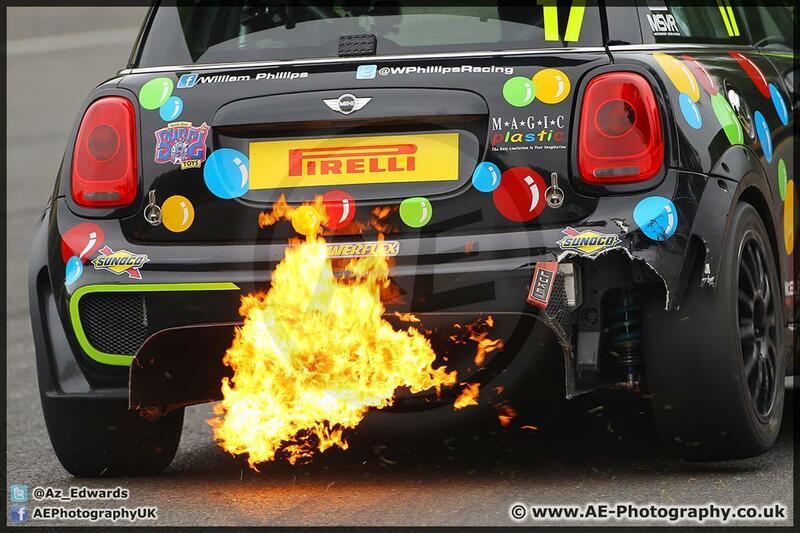 It’s that time of year again – the MINI Festival at Brands Hatch. And what a contrast to Silverstone two weeks ago. Other than one brief shower, it was a dry and warm weekend. 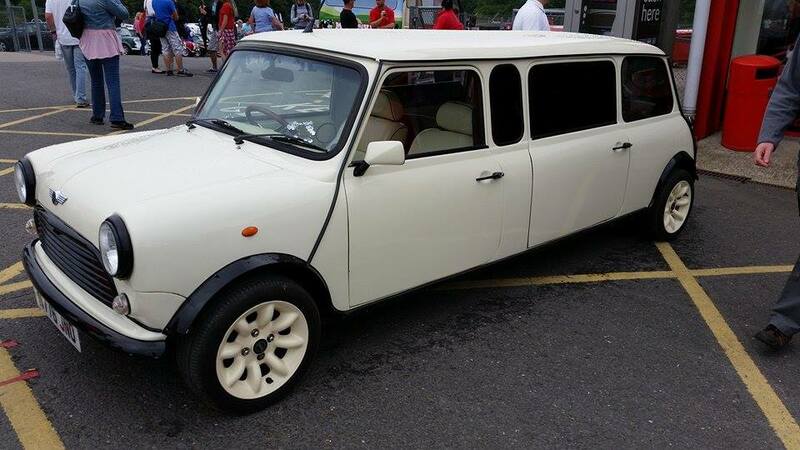 The MINI Festival is a great event for the whole family and the MINIs were out in force – modern ones, classic ones, even MINI limousines. But the main event for us was, of course, the MINI Challenge. William went into qualifying knowing it was going to be a tough one. There would only be fractions of a second between the top 8 so he had to pull out a perfect lap. He got off to a great start, managing to stay in 2nd for the first 5 minutes but after a few laps ended up dropping back to 6th with only a few tenths of a second between each driver. With only 2 laps remaining, William pulled a perfect lap out of the bag. He managed a 52.116 – the fastest lap time by just 8 thousandths of a second, giving him pole position for race one. 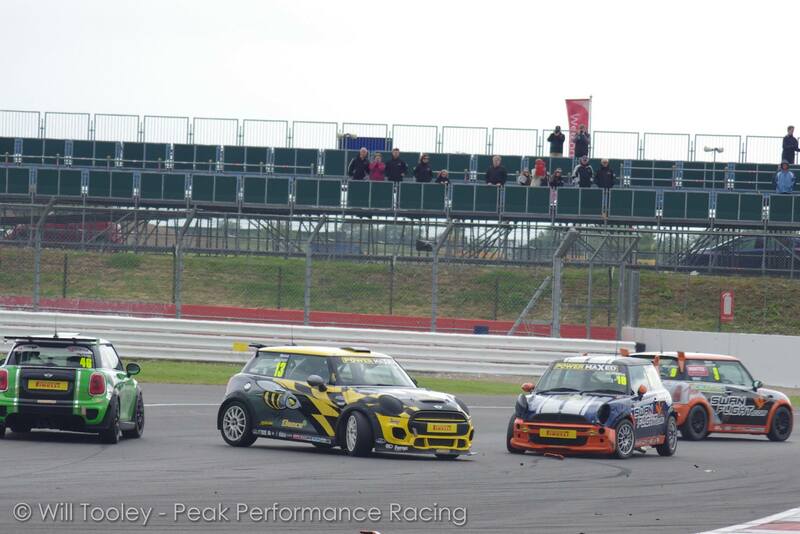 Race one began with a bit of false start after an incident at druids. The red flag came out but as they hadn’t completed a full lap the race was restarted – not a bad thing for William as it gave him a second chance back in pole position. They were off again with William holding onto pole for the majority of the race. William ended the race in P3. Race two saw William starting back in P3 behind Rhode and Davey. An incident on paddock hill in the first lap with Rob Smith and David Grady caused William to spin out, barely missing the rest of the F56s. A few laps later one of the other drivers, Chris Boon, was tapped into a spin causing him to stop dead. William had no choice but to make contact. Unfortunately that ended the race for Boon. William only suffered minor damage but he had already lost his position in the race, putting him at the back of the pack. Undeterred, William pulled out some of his best driving and managed to go all the way from 15th to 6th in the final lap. Due to the collision in the previous race, William started race three with bent steering. The main focus for him was to just get some decent points and finish the race. Two safety cars were called onto the track but William managed to hold his own in 5th position for most of the race. 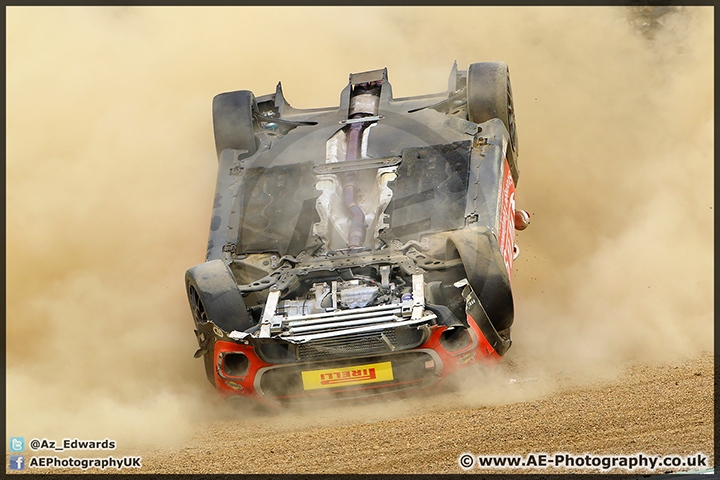 In the 16th lap, Lee Pattison ended up in the gravel trap coming out of paddock hill, causing him to roll. William pulled into 3rd position but the red flag was already called and the race ended on lap 15, leaving William in 4th place. A strong finish to a great weekend. Silverstone – one of the most iconic tracks in the world and my home turf. It was a mix of conditions over the weekend that really put all of us through our paces on the track. I went into qualifying ready for a hairy session ahead due to the rain. I managed to find myself a good gap and kept pumping in the lap times. As the qualifying went on, the track started to dry and unfortunately I got stuck in a bit of traffic so I wasn’t able to get the best time when the track was at its best but I still ended up 5th. wheel spin. I just kept my cool, kept it consistent and managed to get into P3 and managed to stay there for the remainder of the race. 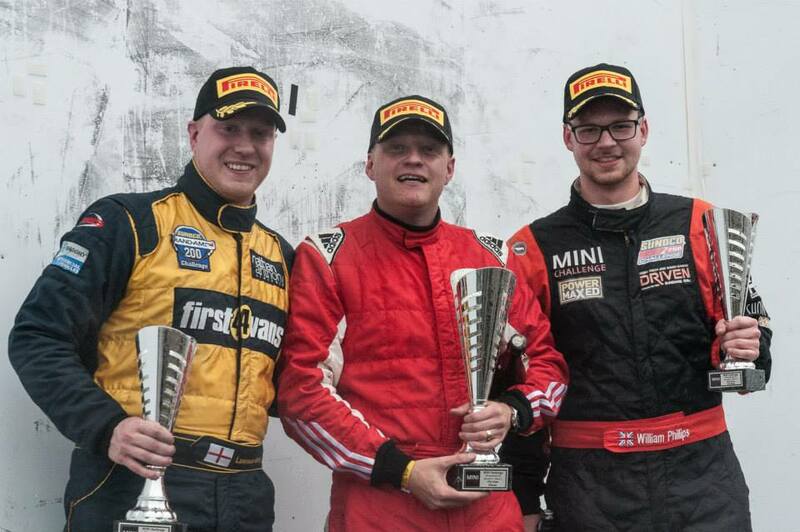 I was pretty chuffed with a podium finish on my first wet race in the new car. The weather on day two was a lot clearer so we were all back to the slicks. I started race two feeling pretty confident about getting back on the podium after starting 5th. But after two incidents causing me to come off the track including a panoramic view of the track I lost my position. I managed to get the fastest lap but due to the incidents I finished in 15th. Overall, it was a brilliant weekend with some ups and downs and some good points scored. Bring on Brands Hatch!